There are books that make you want to wander , to read and learn better quotes from classics 'cause you love how they fit the real life scenarios. You want to travel and dream of adventures and of numerous possibilities you can have if you just let go of your fears and inhibitions ! I can finally say THIS book was all that and more to me. This is the story of Finch who tries wants to die and probably has gathered stats on each possible way. But then he wants to die in a spectacular way that would appeal only to him. He meets Violet one one of his death-wish moments and both end up saving each other. While Finch might have done it just once in reality, he literally destroys the lost and hopeless empty shell that Violet had become post her sister's death. On the other hand, Violet becomes the reason for all further failed attempts at death by Finch. This is not the story where you need to bother who lives or die but Finch and Viloet together make you let go of all your inhibitions and question your plans. It is good to make plans but you have to decide what kind of plans you want to make happen and for whom. Finch is broken and it made me cry to see so hard to fix himself for violet, for one more day , for one geography project or perhaps till he finds the perfect way to disappear from everyone's life. 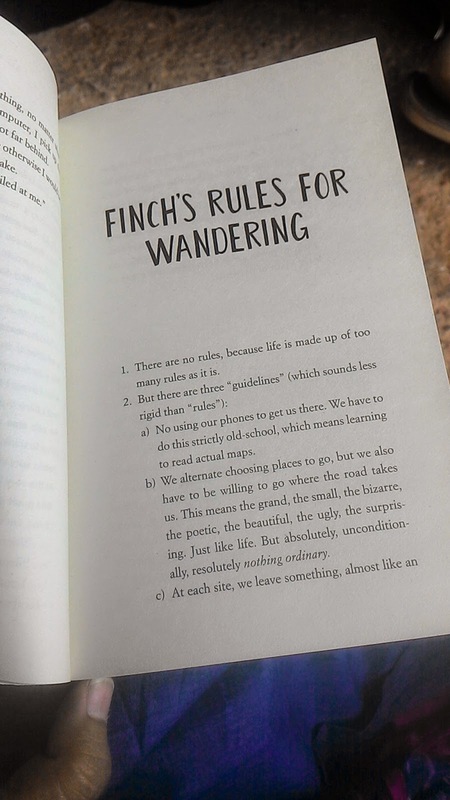 The writing is very elegant and Finch is one hell of a charming character who make you hate him ,pity him and love him equally. His family is lost and unhappy and yet you admire the way they carry on. Violeton the other hand has the perfect life till one accident changes her. From being a guilty survivor to the best friend and lover for Finch and ultimately his savior and memory keeper , she is vulnerable and unique and yet strong in many ways. 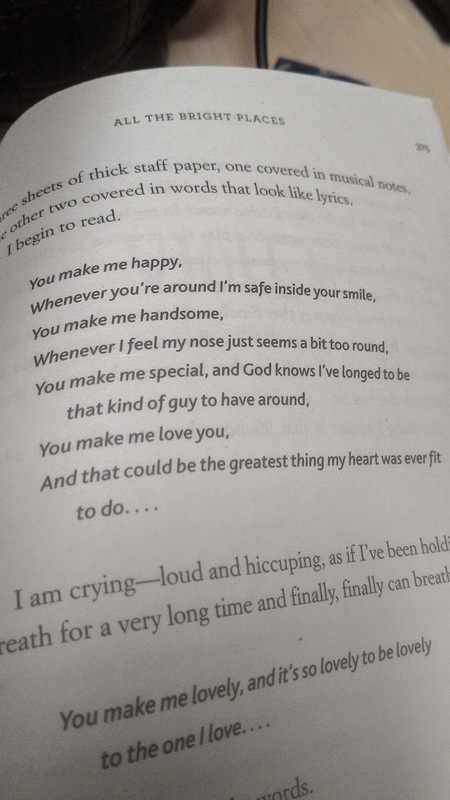 This is a book that I can pick anytime again from random page and still shed a few honest tears.